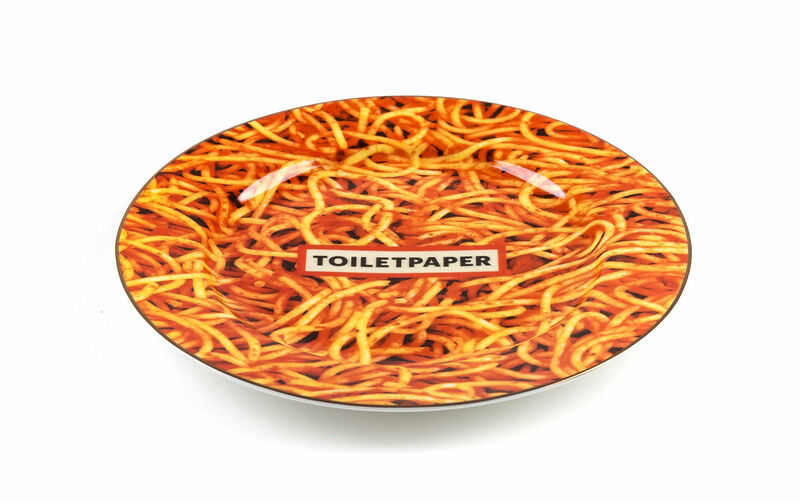 It is Maurizio Cattelan, an inescapable figure of contemporary art, and photographer Pierpaolo Ferrari who created this capsule collection for Seletti. Unlike any other, it is provocative, amusing, absurd and eccentric all at once. 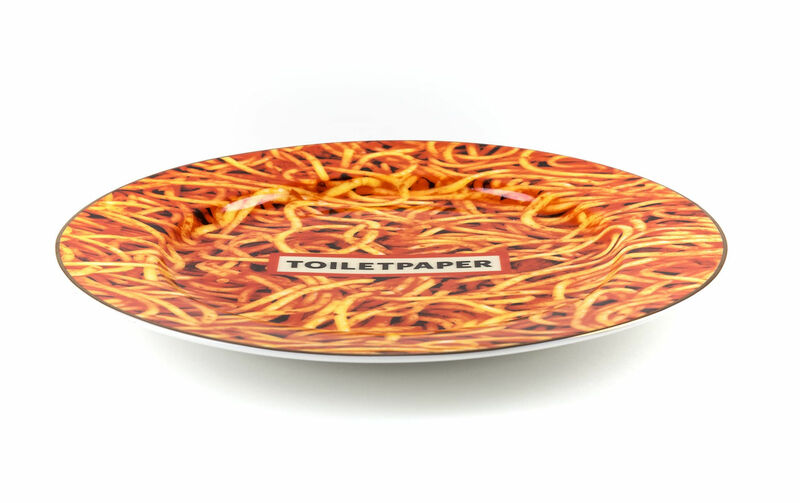 The plates, mugs, tablecloths and soaps in this collection are decorated with surrealist images from the Toilet Paper magazine, founded in 2010 by two Italian artists. Perfectly manicured cut off fingers, soaps with bite marks, fish stuffed with precious stones, a canary with a cut-off wing. Dreamlike Toilet Paper motifs tinted with black humour inspired by the worlds of fashion and advertising, combining commercial photography, twisted visual narratives and surreal imagery. 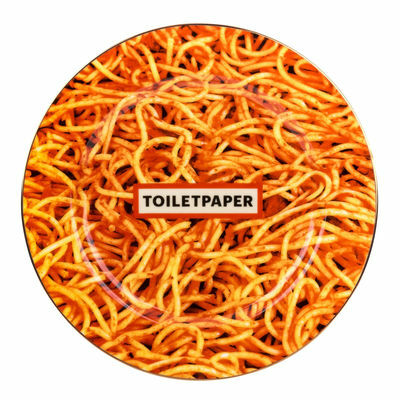 Toilet Paper questions our modern obsession for images, by exploring our most secret desires and impulses. The different pieces from the Toilet Paper collection are striking, a mix of disturbing normality and troubling ambiguity, where dread combines with visual pleasure. 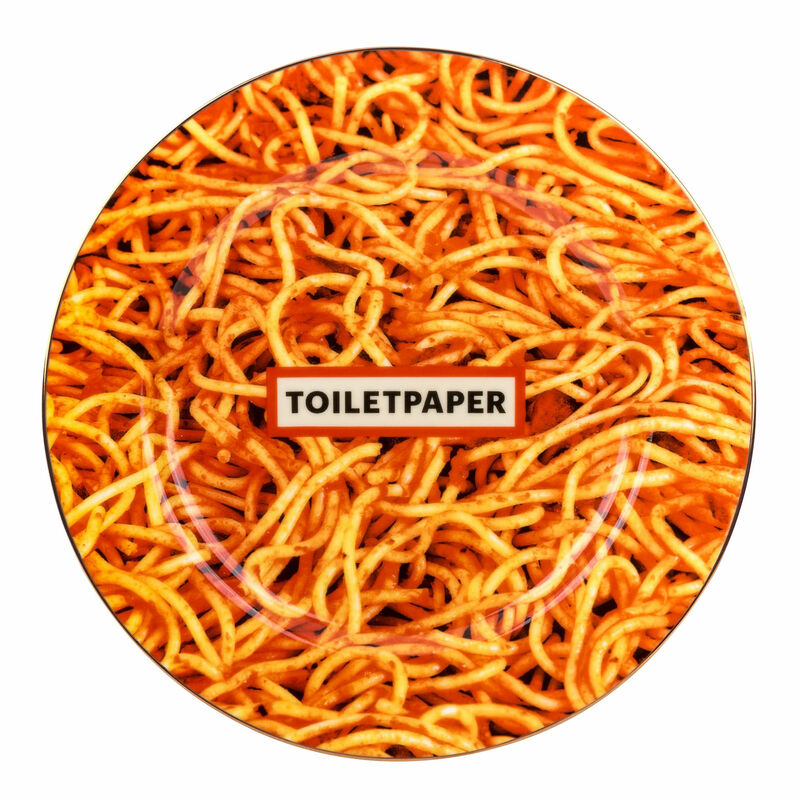 A work of art in itself, Toilet Paper questions, due to its affordability and wide distribution, the nature and limitations of the modern art market. This question has always been central to Maurizio Cattelan's work. 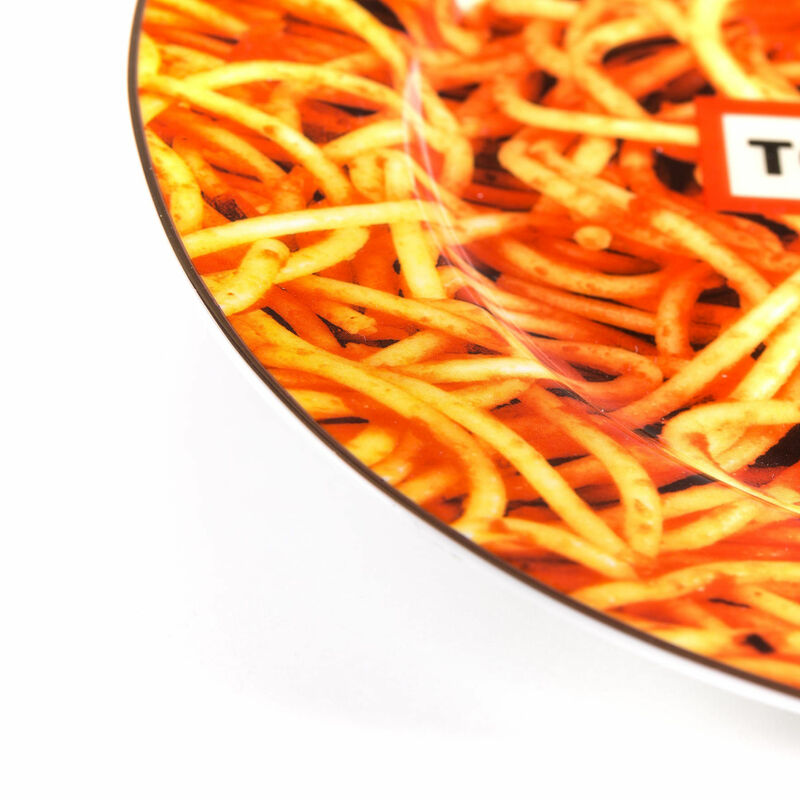 This porcelain plate measures: ø 27 cm. It is dishwasher-safe.